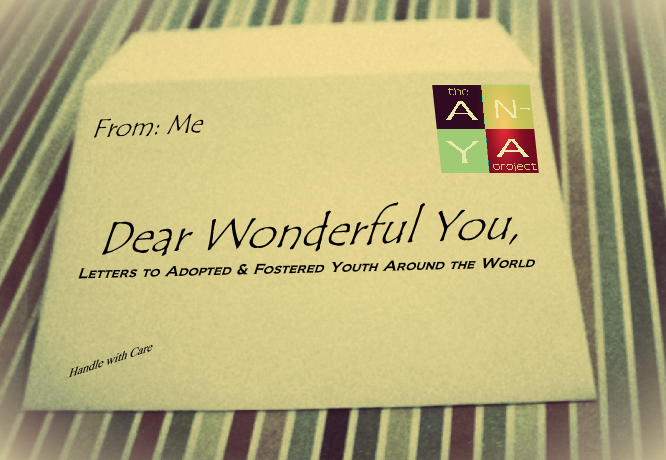 Project: Dear Wonderful You, Letters to Adopted and Fostered Youth Around the World is a collective writing project sponsored by The AN-YA Project. The purpose of this writing project is to produce a series of books that share personal experiences, offer support, understanding, and encouragement. The pieces presented in each book will be written in the form of letters aimed to reach a global generation of present and upcoming adopted and fostered youth. 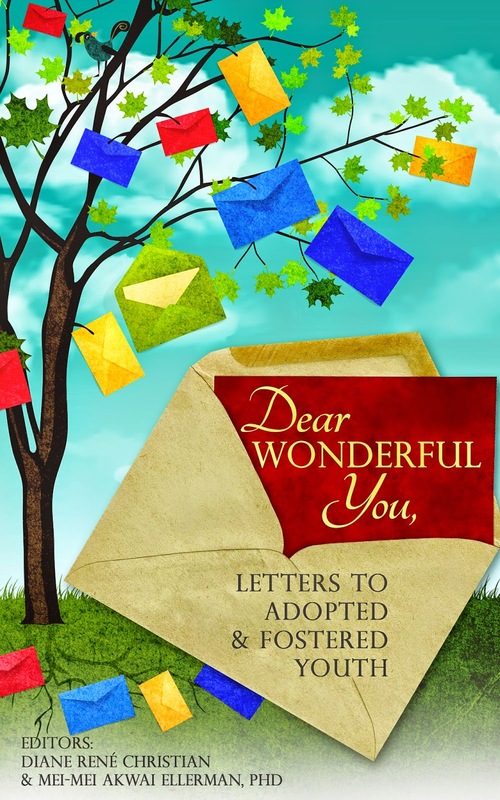 This call for submission seeks authors for the Dear Wonderful You Project’s first book. Requirements: Writers must be adult adoptees or adults who experienced foster care as children. Writers shall submit essays written as though they are letters to today’s adopted and fostered youth. The target age of readers is tweens to teens. We ask that writers be mindful of their young readers’ ages. Writers must be willing to receive reader responses via email as this project also intends for readers to be able to respond to our writers with letters of their own. Note: Writers may continue to submit after the First Round Deadline to be considered for potential future books in the Dear Wonderful You Project. Writers will be notified if their piece is accepted for first publication by the end of Summer 2014. Need: Young adoptees deserve access to adult adoptee role models. Goal: Young adoptees will gain access to adult adoptee role models. Multitudes of adult adoptees, located around the world, are poised and ready to provide the truest compassion, understanding, support and guidance to the younger and upcoming generation of adoptees. Unfortunately, not all adopted youth have access to adult adoptee mentors. Some may not have the means to attend an adoptee led cultural camp, or be geographically close enough to participate in an adoptee mentoring program. Adoptive parents may not know where to begin to search for an adoptee role model for their child. For some adopted youth, an adult adoptee role model is a concept that has never occurred to them. As being adopted is a lifelong journey of processing of the unique joys and challenges adoption may bring, our desire is for young adoptees to know they are not alone. We want all adopted or fostered youth to feel embraced, inspired and guided by incredible and accomplished adult adoptees. 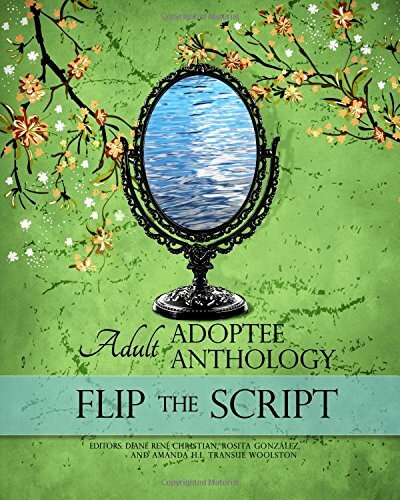 We want all young readers to know that there is a global community of adult adoptees who “get it,” “get them,” and who have been in their shoes. 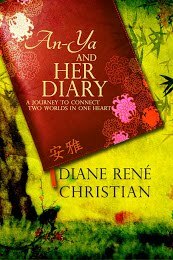 Our aim for this writing project is for the global adult adoptee community to write collectively to every single adopted or fostered child and via Dear Wonderful You… to assure them that they are not alone. 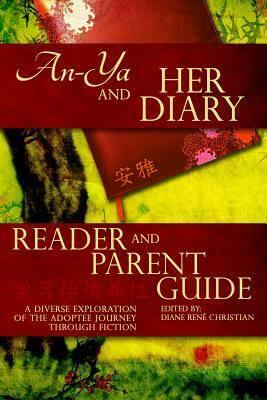 The AN-YA Project is co-founded by Diane René Christian and Mei-Mei Akwai Ellerman.